New data from the US EPA on power plant greenhouse gas emissions are in, and electric vehicles (EV) in the US are even cleaner than they were before. The climate change emissions created by driving on electricity depend on where you live, but on average, an EV driving on electricity in the U.S. today is equivalent to a conventional gasoline car that gets 80 MPG, up from 73 MPG in our 2017 update. Based on data on power plant emissions released in February 2018, driving on electricity is cleaner than gasoline for most drivers in the US. Seventy-five percent of people now live in places where driving on electricity is cleaner than a 50 MPG gasoline car. And based on where people have already bought EVs, electric vehicles now have greenhouse gas emissions equal to an 80 MPG car, much lower than any gasoline-only car available. To compare the climate-changing emissions from electric vehicles to gasoline-powered cars, we analyzed all of the emissions from fueling and driving both types of vehicles. For a gasoline car, that means looking at emissions from extracting crude oil from the ground, getting the oil to a refinery and making gasoline, and transporting gasoline to filling stations, in addition to combustion emissions from the tailpipe. For electric vehicles, the calculation includes both power plant emissions and emissions from the production of coal, natural gas and other fuels power plants use. Our analysis relies on emissions estimates for gasoline and fuels production from Argonne National Laboratory and power plants emissions data recently released by the US EPA. An important difference between EVs and conventional cars is that existing EVs can get cleaner—and, over time, they are getting cleaner. It’s difficult to make burning gasoline cleaner, and electricity is trending cleaner over time as we shift away from coal and add more renewables. This means that EVs that were sold years ago can run much cleaner than when they were purchased. Our initial analysis of EV emissions used data from 2009, while this update incorporates 2016 data. By switching between these two maps, you can see the improvement made in many regions of the US. The maps shown above are based the efficiency of the average EV. However, there are now options on the market that are even more efficient. Using one of these more efficient EVs (Hyundai Ioniq BEV, Prius Prime, and Tesla Model 3) means lower emissions. With these cleaner EVs, 99 percent of the country is in a region where electricity emissions would be lower than a 50 MPG gasoline vehicle. How do other EVs compare? Use our EV emissions tool to estimate the emissions from a specific EV in your area. The most efficient EVs are much cleaner than even the best gasoline cars in many regions of the US. Currently the most efficient EVs are the Hyundai Ioniq BEV, Tesla Model 3, and the Toyota Prius Prime (while operating on electricity). Electric vehicles produce less emissions now because the electric grid is getting cleaner. Over the last ten years, the fraction of power from coal has fallen from nearly 50 percent to 30 percent. Over the same time, utility-scale renewable power like solar and wind power have grown to make up 10 percent of electricity generation. This analysis relies on data from power plants for 2016, the most current data that includes details on the geographic location of emissions. However, based on the overall data on from 2017, it looks like emissions will continue to fall, with both coal and natural gas declining while renewable power continues to increase. The falling emissions from electric power over the last decade also highlights the need to work to clean up electricity generation and transportation now. 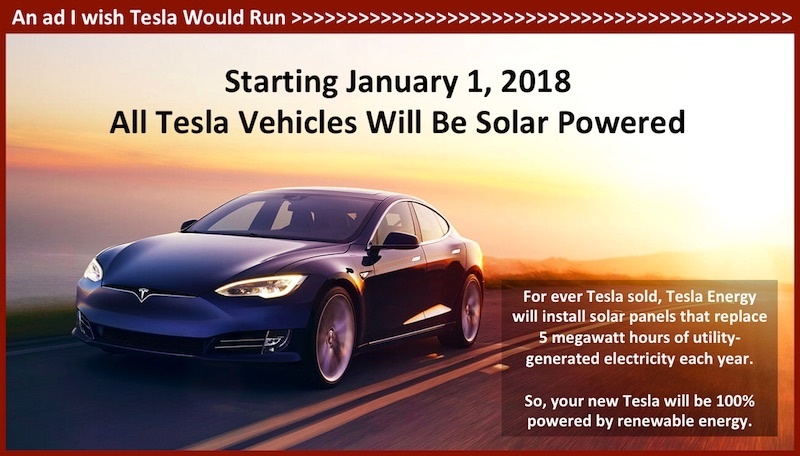 While we are moving in the right direction with renewable power and growing numbers of EV models, it takes time to replace existing power plants and gasoline cars. It’s vital that we accelerate the adoption of EVs, even if all power is not yet from renewable or low-carbon sources. Utility-scale electric power generation. Power from coal has dropped over the last decade and clean renewable power has increased. Data Source: US Department of Energy, Energy Information Agency. Interesting results in the Midwest – Eastern Wisconsin is actually worse in 2016 than in 2009. I suspect this is because of the closure of Kewaunee nuclear plant (which basically offset all the carbon emissions reductions from the renewable portfolio standard). Similarly, I was scratching my head as to why West Virginia and Indiana would be better than Wisconsin, since they are more coal dependent. But they get lumped in with Chicago/northern Illinois, which also has a lot of nuclear power. This is really a great article and it seems very well vetted. Thank you. I’m wondering if you have done any analysis of the vehicle “fuel system” cradle to grave GHGs as well. I realize it was not part of this analysis, but I see different reports and articles on the carbon emissions of Li-ion battery production as potentially offsetting years of operation with lower GHG in-use emissions. Articles and reports seem to be all over the place on this topic and your fair approach to the information you’ve provided here makes me interested in your thoughts on battery production effects. Thanks again. Great article. The quick answer is that excess EV manufacturing emissions are small compared to the savings while driving and are offset in 6-16 months, depending on the grid region. However, this is based on the data available in 2015. Since many grids improved since then, the results would be better now for most areas. Small error: SRMW should be purple, not blue. Or the number shown is incorrect. Thanks for catching that! The MPG rating is correct, so the color should be purple. The map should be updated soon. Because GREET considers emissions from the well to the wheels I think it would be fairer to attempt to apply the same inventory boundary to electricity as well. If I assume an additional 20% of emissions associated with the above sources/losses for the electricity sector (unsupported rule of thumb I use based on my own experience), and assume that I can directly scale your MPGe estimates by 1/1.2 = 0.833, your overall message still applies. Just a thought. Overall this is a great analysis, and I love the approach of presenting in a common unit of MPGe. Ignoring emissions from power plant construction, as I believe GREET also does not consider these emissions. Thanks for the comments. For our analysis, we did consider transmission losses, as reported by eGRID, as well as GREET 2017 upstream factors for coal, NG, biomass, fuel oil, and nuclear power. The factors range from 9 to 167 g/kWh and make up about 6-17% of the total g/kWh emissions (depending on mix in the region). Transmission losses vary regionally, around 4-5%. Our methods are listed in our last full report: https://www.ucsusa.org/clean-vehicles/electric-vehicles/life-cycle-ev-emissions. Excellent report. We need to somehow reduced this to a single statement to summarize for the non-believers who frequent the comment sections. Is it “Today’s electric vehicles already achieve the emissions equivalent of 80 miles per gallon, and this is increasing as more renewable energy joins the grid.”? Hmm. “An EV is now always cleaner than a gasoline car, and it gets cleaner every year”? A master of simplicity, neroden! It’s completely impossible to figure out marginal generation. Average generation for the grid subregions is the only thing which makes any sense. A bunch of the subregions are approaching 100% renewable energy anyway — the marginal generation is renewable. If you’re using “base load generators” like nuclear, then that power is essentially free, you’re using no energy at all: “base load generators” have to operate whether or not there is any demand, and they just have to turn the energy into heat if there’s no demand. Time of charging is incredibly important. And I suspect the above analysis did not consider it. You CAN determine what type of plant is operating at the margin. It’s been done by eGRID region in several studies. To the extent that EVs charge at night in regions where coal base load is operating, e.g., they are creating a source of demand for coal-fired power. This is important. EVs are promising—yes. But charging during peak renewables periods is the key. “they just have to turn the energy into heat if there’s no demand” is completely false. The up and coming complement to that is battery storage. Google “south australia tesla battery” for an example. could the author comment please? Hi- The methods in this update are the same from our most recent report, ‘Cleaner cars from cradle to grave’ (https://www.ucsusa.org/clean-vehicles/electric-vehicles/life-cycle-ev-emissions ), with the following changes: Upstream emissions now use GREET 2017 data, electric emissions are from eGRID2016 (Feb 2018 release), and the average EV electric drive efficiency for vehicles sold (2011-2017) is now 0.338 kWh/mi (slightly worse than last year). We use the ‘total’ (average) emissions rates for our analysis for several reasons. First, there is no direct data available on true marginal emissions at the national level. There are several methods to try to infer what was marginal, though they are imperfect. As demand response and energy storage become more prevalent, this will become even more difficult. There are also issues regarding the use of short term or small scale marginal estimates vs long term and/or large scale marginal analysis (https://www.epri.com/#/pages/product/3002006875/) . This is especially true if renewables and/or storage capacity is added to meet increased demand. In that case, increased load over the long run drives additional low carbon power, though a load-order or other short term marginal analysis might lead to the conclusion that only fossil fuel can be on the margin. This is great news! I wonder though if you have overlooked an important aspect of EVs, regenerative braking. Take for example the performance report for this past month (February 2018) for my 2015 Nissan Leaf, a BEV. It used 156.11 kWh, was driven 474.65 miles. You might think then that this car got 3 miles per kWh (102.4 mpge). That would be wrong though because the regenerative braking system produced 43.57 kWh (28% of the total used). Taking the difference from what was used and what was generated, we see that my EV needed only 112.54 kWh. We then can take that number and divide into the miles driven to see that my EV averaged 4.2 miles per kWh for the month. That’s equivalent to getting 142 mpg using the EPA conversion formula. I believe the EPA numbers include regenerative braking. Unlike Nissan, Tesla reports the *net* energy used, not the gross energy used. Correct, the EPA efficiency is calculated using the energy use from the wall over a set of driving conditions. Regenerative braking is included, though only at the default “drive” setting. Modes like the Chevy Bolt’s ‘low’ mode with extra regenerative braking is not considered for the EPA efficiency on the window sticker and at fueleconomy.gov. Your first link will not open in a Chrome browser on a Mac. Says that browser is unsupported. When I use a Safari browser – I get a message saying I need to download and install some software before I can proceed. Not happening… Can you provide a friendlier link? Nobody except global warming alarmists give a hoot about greenhouse gases. Peddle your junk science somewhere else. Citation needed for your statement.